Moist, boggy, acid soil. Ideally, a mixture of sand and acidic organic matter. Grow in prepared beds that can be kept very moist or flooded. Bushes can be grown along the pond’s edge in sun or partial shade. 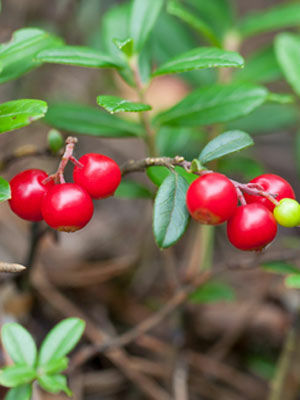 Cranberries tolerate extreme cold, but blossoms are subject to cold damage in spring. Mulch with acidic compost to keep soil constantly moist. For the first three years after planting, topdress the root zone with a balanced organic fertilizer in spring. Plant in a water-retentive spot by a pond or stream, above the water line, or in a bog-like bed in a low area. Water only with rainwater. Cranberries will bear for decades. Begin harvesting three years after planting. Harvest when fruits are red and ripe, but before they have been damaged by hard freezes. Grows best in acid soil with a pH of 4.0 to 5.5.